Could anybody help me identify this aircraft? It was photographed in Greenland around 1960. Thanks in advance. 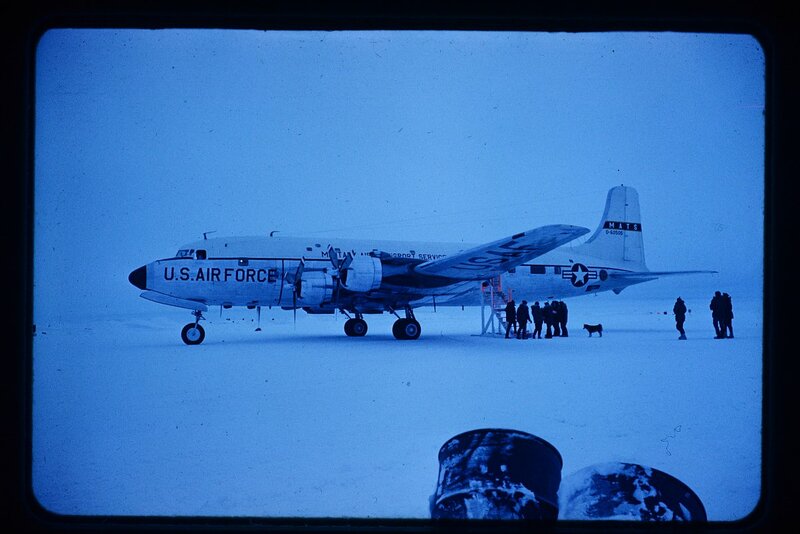 That is the Douglas DC-6 / C-118/R6D Liftmaster. 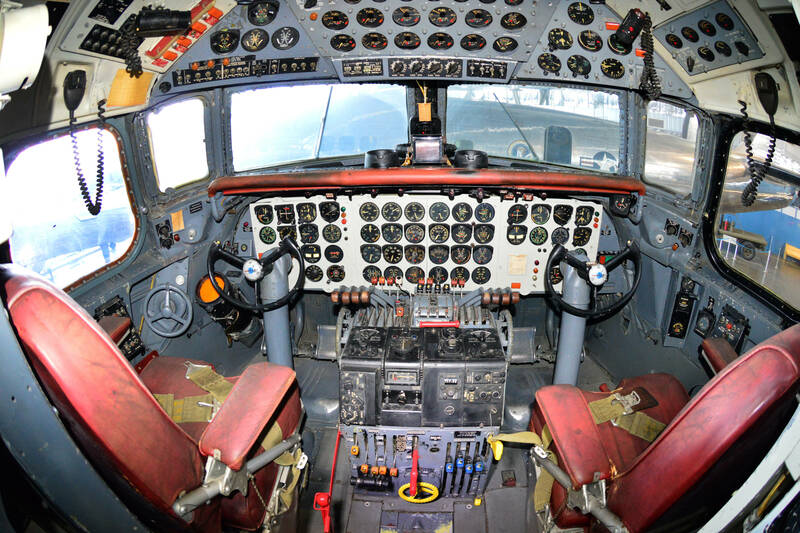 This specific plane was built in June 1947 with modifications for presidential use. 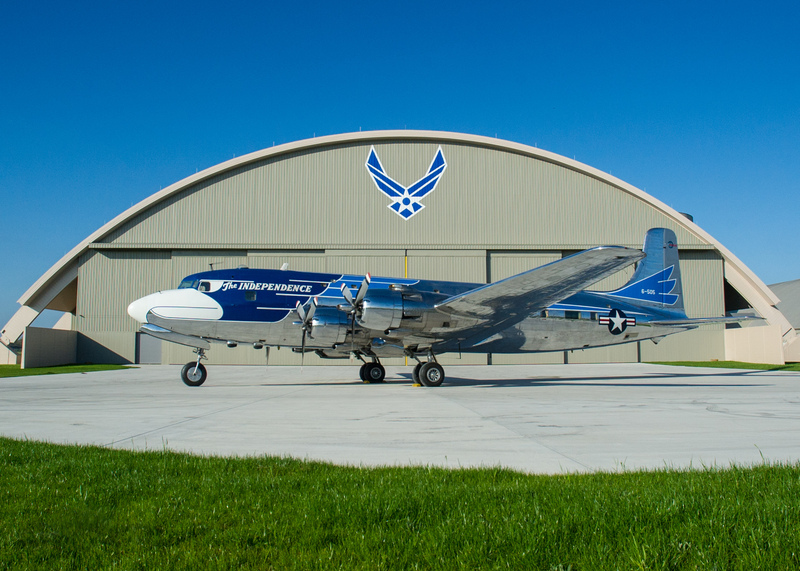 It is well known for flying US President Truman. 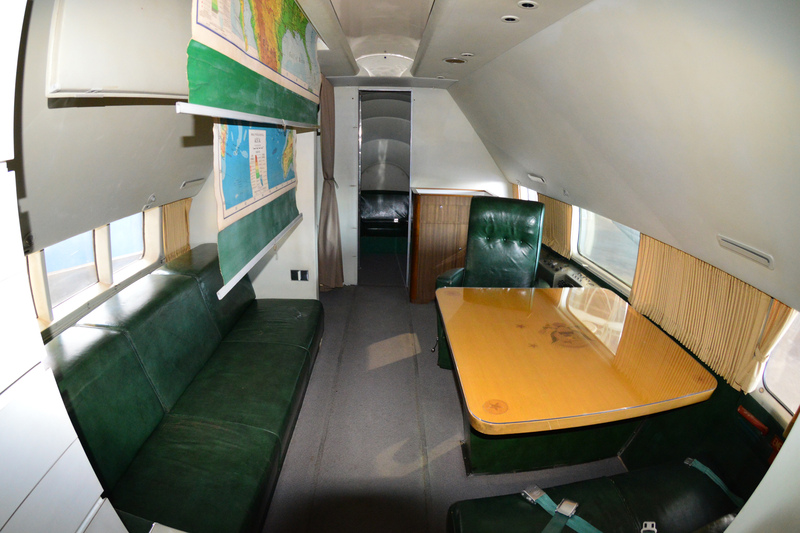 It was the first presidential aircraft that received a distinctive exterior. It actively served USAF until 1965 when it was transfered to an USAF museum. It is now on display at USAF museum in Dayton, Ohio, USA. Not the answer you're looking for? Browse other questions tagged military propeller aircraft-identification or ask your own question. Could you help to identify this WW1 fighter? Can you identify this aircraft at Chilliwack(YCW)? What twin engine is this USAF-painted plane? Can someone identify this scrapped high-wing plane? What is this pusher airplane?